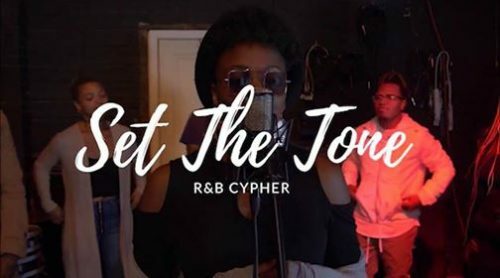 In this new entry in our ‘Diamonds In The Rough’ category, we want to introduce you to China “The Promo Goddess”‘ brand new series “Set The Tone: R&B Cypher”. Indie music proficient China “The Promo Goddess”, brings various sounds together in a room, that generates a vibe like no other. Five artists from Indianapolis, Indiana come together on a collaboration to set the tone for R&B music. The lineup in order of appearance consists of Yadin Kol (pro. Ya-deen ), Keiana Whatley, J Murph, Allison Victoria, Terrance Anderson, and an after-piece from the host Telle (pro. Telly). Bringing in well over 9,000 views on Facebook in the first 10 days of its release, the cypher has become a favorite among consumers as well as vocalists. This series is the start of many to come from the aspiring media mogul.